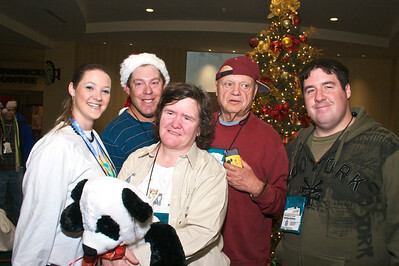 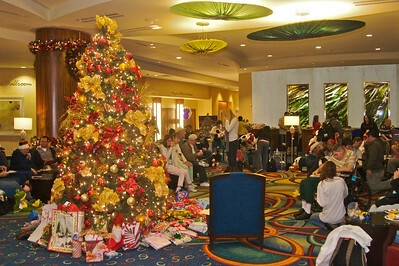 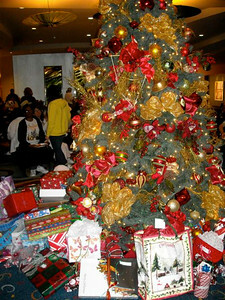 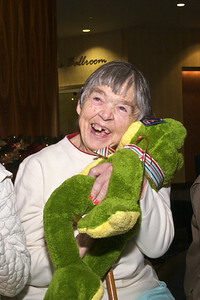 Holiday Happiness gift opening at the Anaheim Marriott. 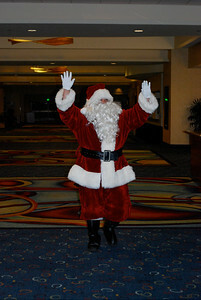 THANK YOU to all the volunteers, tour guides, Secret Santas, the Carl W. Johnson Foundation, Anaheim Marriott Hotel and employees, Santa Barbara Airbus, Anaheim Transportation Network, and our many donors who made this wonderful event possible! 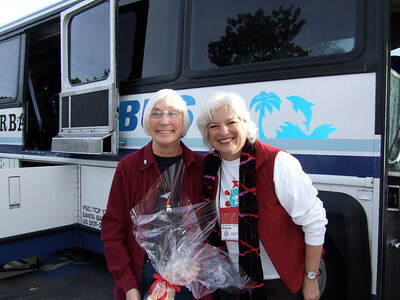 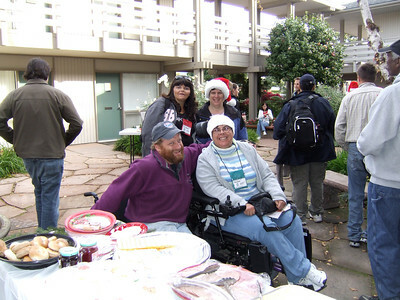 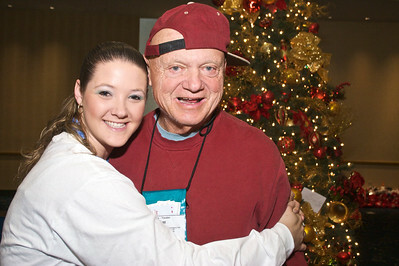 Former Mayor of Santa Barbara, Marty Blum and Dee Duncan at the Holiday Happiness send-off. 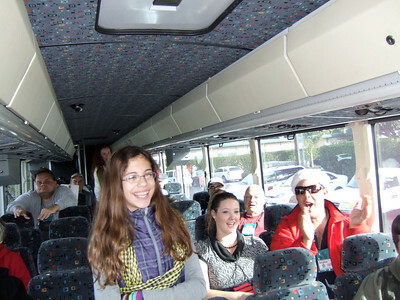 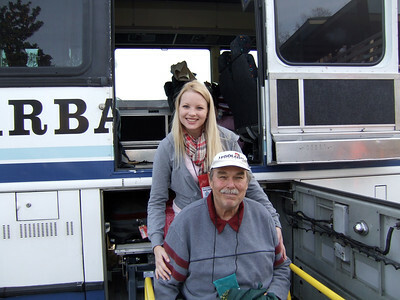 Thank you Santa Barbara Airbus for donating the luxurious roundtrip transportation to Disneyland! 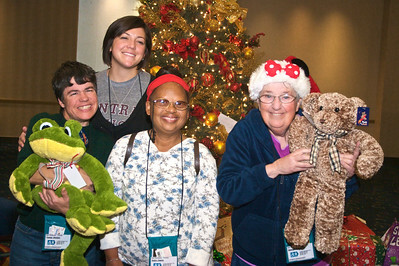 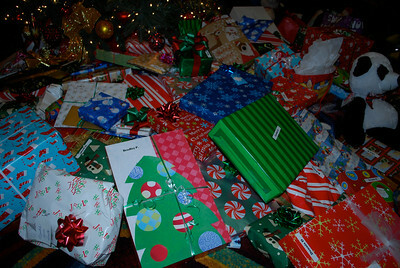 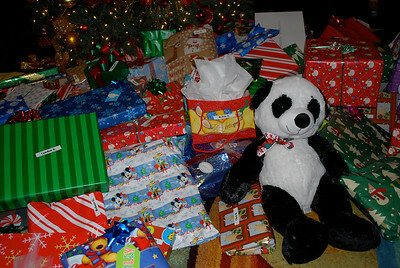 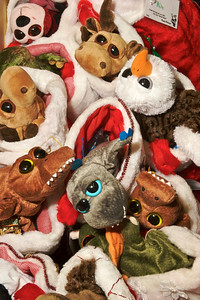 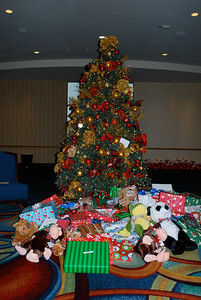 Thank you to all the Secret Santa volunteers who purchased all the wonderful gifts! 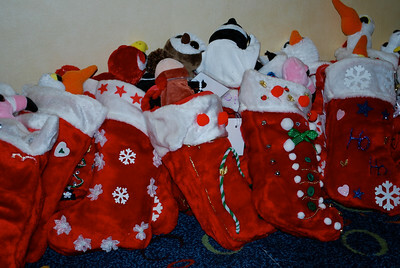 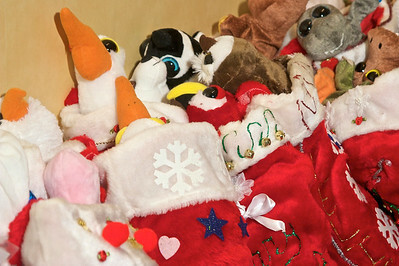 Thank you to all the volunteers who decorated the beautiful stockings! 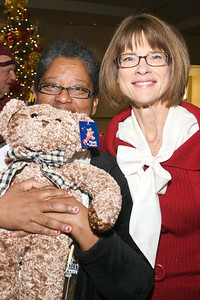 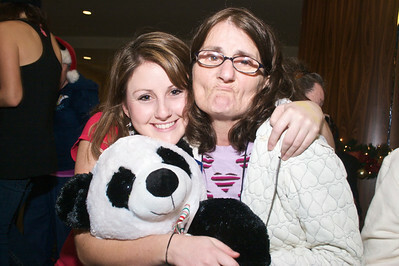 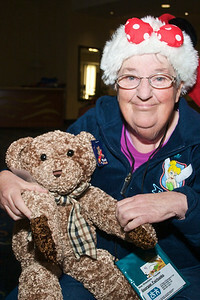 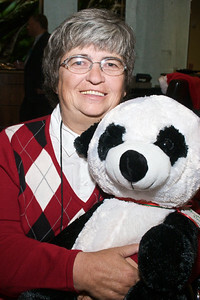 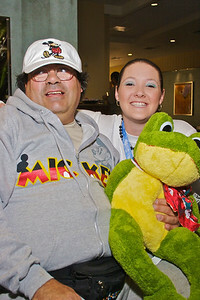 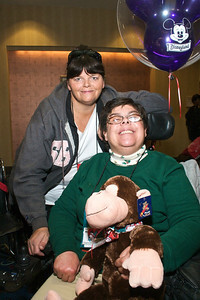 Anaheim Marriott General Manager Anne Maselli joins in the fun at the gift opening extravaganza.